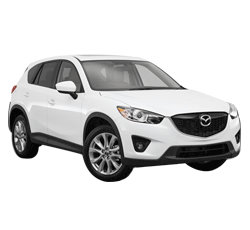 The 2015 Mazda CX-5 is a sporty crossover vehicle that will appeal to a wide variety of different drivers. The CX-5’s class-leading fuel efficiency and spacious backseat make it an excellent choice for families. In regards to the powertrain, drivers can depend on Mazda’s SkyActiv engine family to deliver the necessary performance. Although the new CX-5 is noted for its affordability, it still offers a number of luxurious features. Safety remains one of this SUV’s top attributes. Very little has changed for the 2015 model year. However, key-less ignition now comes as standard equipment on the Touring model. The 2015 Mazda CX-5 has a starting price of about $21,000. However, a top-of-the-line model can still be obtained for less than $30,000. Research shows that the CX-5 has also proved to be quite reliable, which definitely helps to lower the vehicle’s total cost of ownership. All models are protected by a 60,000-mile warranty. When equipped with a manual gearbox, the base model is able to deliver an exceptional 35 mpg on the open road. The SUV’s solid fuel efficiency will surely keep a smile on the driver’s face. Amazingly, even the powerful 2.5-liter engine is able to return 32 mpg on the highway. With a total output of 155 horsepower, the base four-cylinder engine provides just enough muscle to keep most drivers content. However, some people may need to upgrade to the 184-horsepower engine. Designed with Mazda’s award-winning SkyActiv technology, the top-of-the-line engine transforms the CX-5 into a very spirited driving machine. Both engines have a 2,000 pound towing capacity. The 2015 Mazda CX-5’s five-star safety rating will provide the occupants with an extra degree of assurance. If desired, prospective buyers can opt for the Smart City Brake Support system. With the use of laser sensors, this cutting-edge braking system can actually help to prevent low-speed collisions. A rear-view camera and a blind-spot monitoring system are also available. When compared to the competition, the new CX-5 is obviously one of the most stylish crossover vehicles in the segment. According to some test drivers, the CX-5 looks like a slightly larger version of the popular Mazda 3 sedan. While all of the models have a sporty road presence, the Grand Touring trim stands out with its 19-inch wheels. In terms of overall driving excitement, the CX-5 is definitely among the most entertaining crossover vehicles on the market. The vehicle’s agile chassis and well-tuned suspension system enables it to handle like a sedan. Driving enthusiasts will love taking the CX-5 on long road trips. While the automatic transmission performs flawlessly, some drivers may still prefer the manual gearbox. A front-wheel-drive system comes standard on the CX-5. 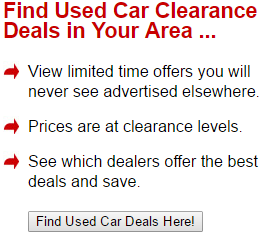 Fortunately, prospective buyers can also opt for an AWD system. Although the CX-5 is not designed for extremely rocky off-road trails, the AWD system allows it to conquer snowy roads with ease. If one of the wheels begins to lose traction, the on-board computer will immediately transfer the necessary torque. Aside from the basic essentials, the Sport model is also available with a Bluetooth Audio package. The upper-level trims bring even more high-tech goodies. Some of the upgraded features include adaptive bi-xenon headlights, a Bose audio system, navigation, and rear parking sensors. Heated front seats come standard on the Grand Touring model. Although the Mazda CX-5 is considered a small crossover SUV, it still provides plenty of room. Even the rear-seat passengers will be able to kick back and enjoy the ride. With about 34 feet of available cargo space, the CX-5 is an ideal vehicle for taking road trips. However, keep in mind that the rear seats can also be folded flat when needed. Mazda’s exclusive SkyActiv Technology enables the CX-5 to operate as efficient as possible. Fortunately, even the base Sport model is designed with this award-winning technology. When equipped with the optional AWD system, the CX-5 is a capable performer on mild off-road trails. However, the SUV is not the best choice for extremely harsh terrains. Mazda does not currently offer a special off-road package. While the base engine is available with a manual transmission, the potent 2.5-liter engine is only available with an automatic transmission. This may be a disappointment for the drivers who love changing gears with a stick shift. As of now, Mazda does not plan to offer a V-6 engine upgrade. Prospective buyers will have to settle for the 2.5-liter, four-cylinder engine. Some of the CX-5’s competition includes the Ford Escape, the Kia Sportage, the Toyota RAV4, and the Honda CR-V. While some of the competitors may offer more powerful engines, the CX-5’s agile driving dynamics keep it at the top of its class. The 2015 Mazda CX-5 is an outstanding value in the small crossover segment. Prospective buyers will treasure the CX-5’s outstanding safety profile and athletic road manners. The SUV’s sporty styling is also hard to ignore. All models promise to deliver at least 30 mpg on the highway.